Lot 157. 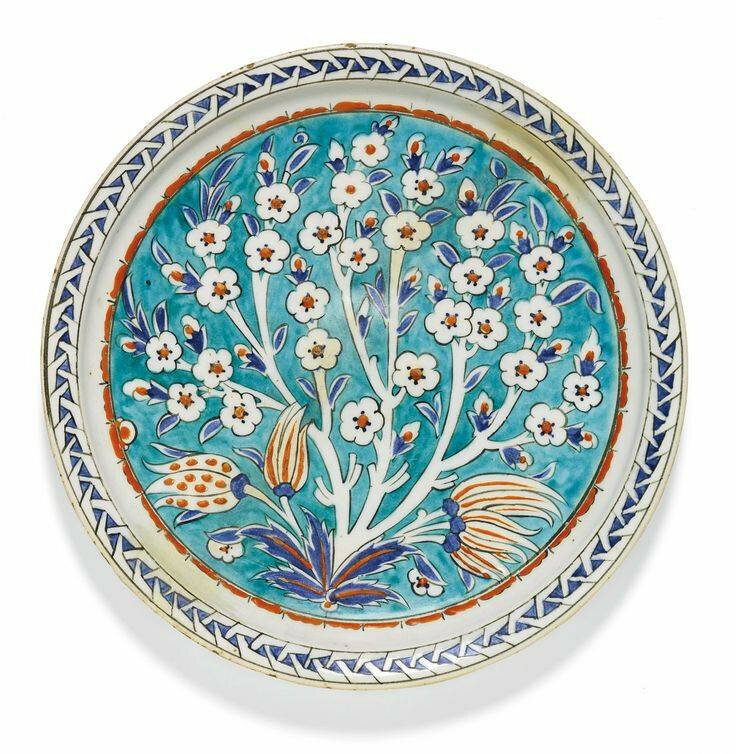 An Iznik polychrome pottery dish with burst flowerhead and arabesques, Turkey, second half 16th century; 33cm. diam. Estimate 7,000 — 10,000 GBP. 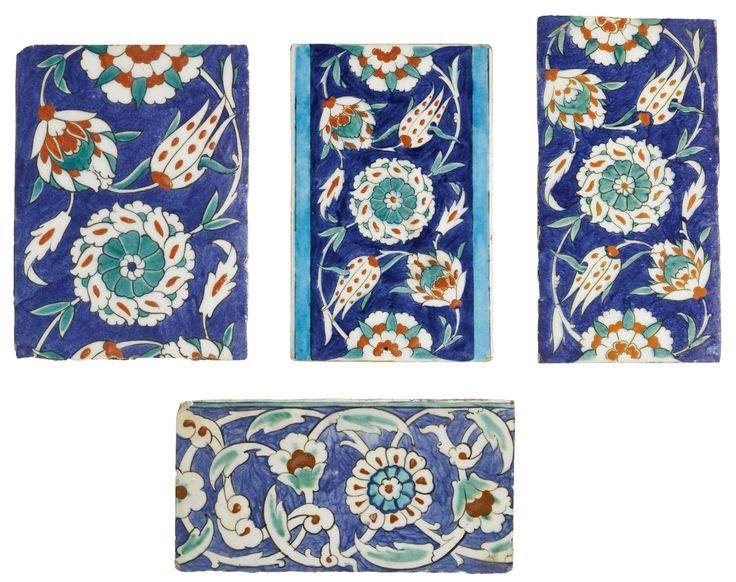 Lot Sold 12,500 GBP. 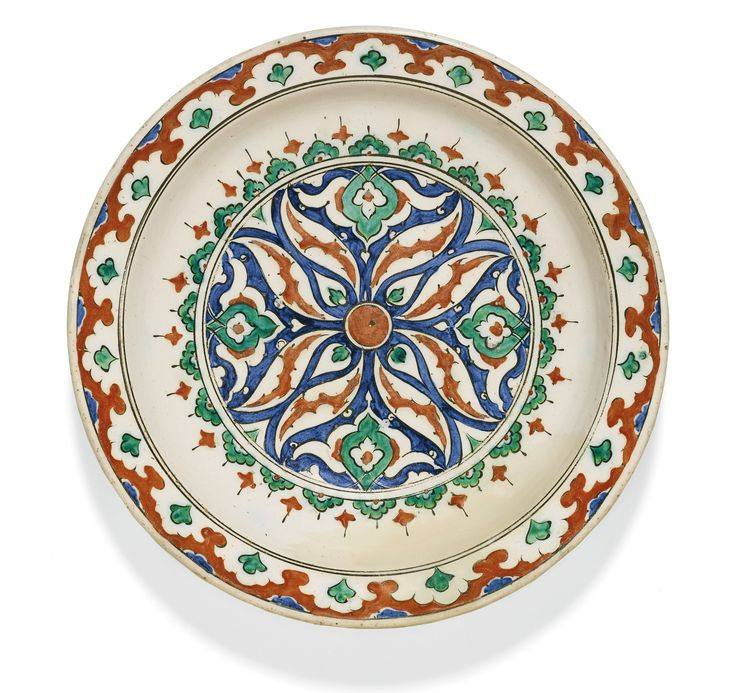 Photo: Sotheby’s 2014.
with rounded edges and everted rim, decorated in underglaze cobalt blue, emerald green and relief red with black outlines featuring a large central stylised flowerhead and arabesques, bordered by a band of lobed arches, foliate motifs on exterior, old collection label to underside.